Basic Space in association with CCA Derry~Londonderry, is delighted to host The Present Is Not Enough - Part I, featuring work by Olivia Sparrow and Kian Benson Bailes. The Present Is Not Enough - Part I takes place as part ‘The Edge of Things’, a series of one-day exhibitions curated by CCA and Sean Lynch. ‘Part I’ is the first in a series of curatorial initiatives, crafting sites of institutional critique through performative and pedagogical practices, responding to the writings of the late José Esteban Muñoz. Occupying CCA as an ephemeral community centre, the public is invited to engage with a series of political, social and artistic actions. 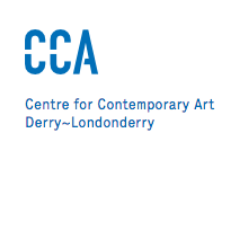 Over the course of the day Saturday, March 4th, CCA will be host to the display of artistic and performative practices, peer learning workshops, an archive and a late opening. Sparrow will host the Queer Day School, a free peer-led workshop facilitating the creation of oral, written or audio/visual pieces. Queer Day School focuses on creating sites of peer learning and the communal dissemination of knowledge, primarily engaged with the queer community. Sparrow’s role is of a facilitatory actor, encouraging a localised perspective on the narratives and histories discussed. Benson Bailes will present work which investigates the queer past, present and future in regards authenticity and commodification. Objects provide a sculptural immediacy, yet are transient in their site-specific nature, mirroring the architectural instability of “queerspaces”. ‘The Present Is Not Enough’ series emerged from a frustration with political pacification and tokenism as a response to structural disenfranchisement. This has been given particular impetus due to the rise of right-wing populism and the urgent desire to craft alternate futurities, through which new presents can be fabricated. ‘Part I’ aims to imagine a durational utopism through sites of artistic display: a “nonplace”; blurring the distinction between public gathering and performative acts of private desire and representation. In this commonage, individuals and communities can gather in the mutual aspiration of imagining radically alternate futurities. 'Part I' is a Basic Space project, curated by Daniel Bermingham.